The objective of this paper is to report the value of magnetic resonance imaging (MRI) in the evaluation of urethral diverticulum in women. Medical records were identified by a query of urethral diverticulectomy billing data from January 1, 2000 through December 31, 2004. Patient demographics, preoperative evaluation data, and surgical outcomes were collected. Twenty-seven women were diagnosed with a urethral diverticulum during the study period. The cohort presented with a variety of symptoms. The mean time from onset of symptoms to diagnosis of a urethral diverticulum was 47 months. 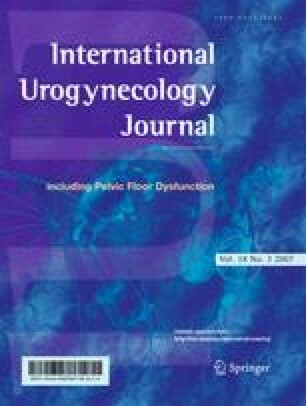 Seven (26%) women had a history of one or more prior diverticulectomies, and 8 (30%) had prior incontinence or other urethral surgery. Twenty-one (78%) had undergone a preoperative MRI, which detected the diverticulum in all cases. In three women, multiple other prior imaging studies had failed to identify the diverticulum despite clinical suspicion of its presence. MRI revealed an unsuspected intradiverticular carcinoma in one patient. Twenty-six women were treated with periurethral diverticulectomy, and one patient was treated with cystourethrectomy. Average follow-up was 9 (range 1–60) months. No patients had significant intraoperative complications. One patient was diagnosed (by MRI) with a recurrent diverticulum. The use of preoperative MR imaging altered the management in 15% of our patients. Furthermore, this study cohort had a long duration of complex symptoms with one-third having had prior urethral surgery. The use of MR imaging allows for accurate diagnosis and improved surgical planning.